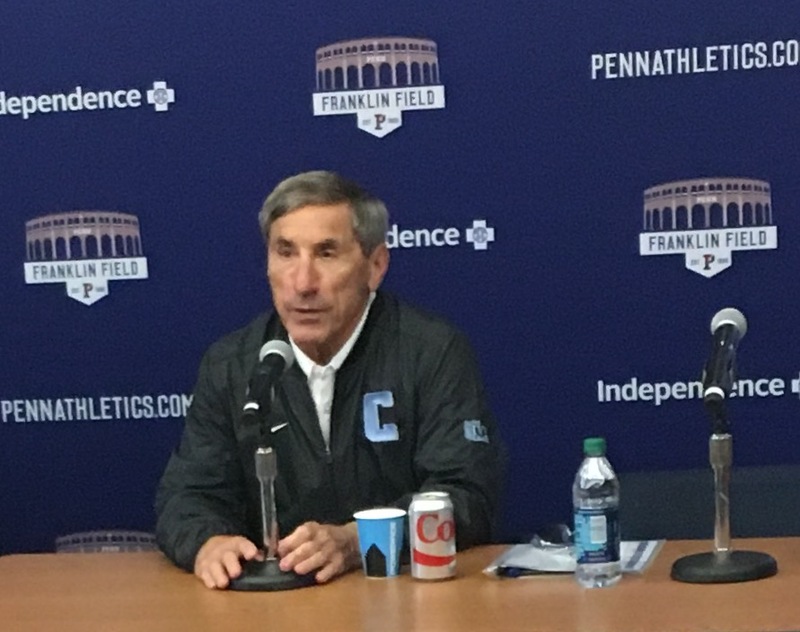 Although it’s been two-and-a-half years since he first announced his retirement from Penn and more than a year-and-a-half since he took over as Columbia’s football coach, it will still odd to see Al Bagnoli at Franklin Field on Saturday with another team. It was odd seeing the old Penn coach emerge from a different locker room. It was odd seeing him on the other sideline. And it was certainly odd seeing him wear a jacket with a big ‘C’ on it in front of a Penn banner. 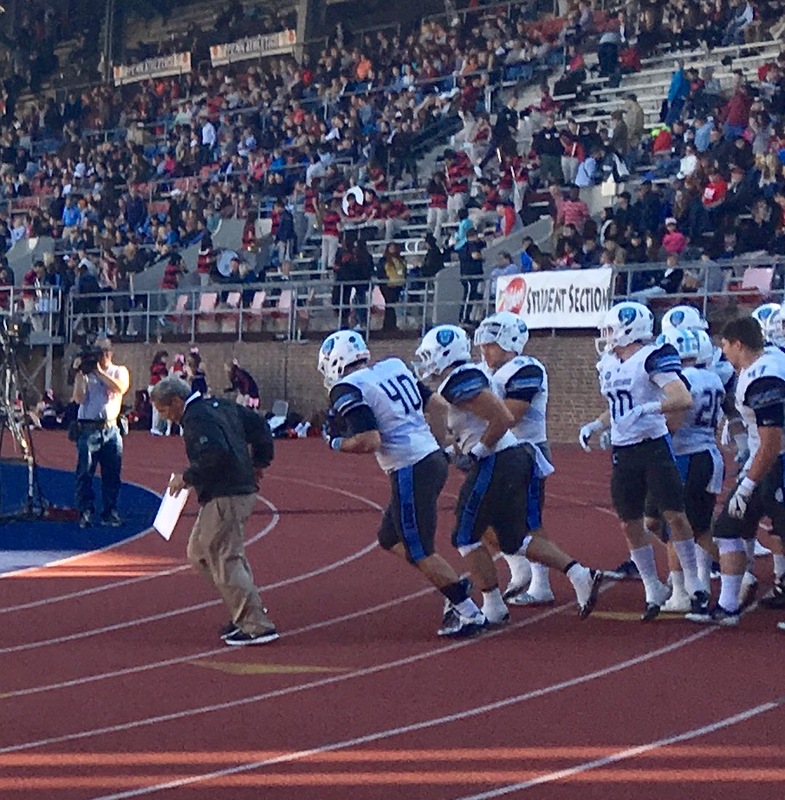 But you wouldn’t know it from Bagnoli himself as the former Penn football coach did everything in his power to change the storyline before, during and after Saturday’s game — a 35-10 Quakers victory. But Bagnoli did allow himself at least one moment of reflection. Emotional significance aside, it was in a lot of ways fun to see Bagnoli go up against his old protege, Penn head coach Ray Priore. Despite having a significantly younger and less talented team, Bagnoli’s Lions hung with the defending Ivy champs for the first half, trailing only 7-0 at halftime. And he showed his coaching chops with an unconventional move to punt from around Penn’s 30 yard line, which pinned the Quakers back to the 1 and led to the Lions’ only touchdown. “It was a chess match going back and forth,” Priore admitted. In the end, Priore and the Penn coaching staff asserted its dominance, controlling the second half and sealing the Quakers’ 20th straight win over Columbia with a trick play as running back Tre Solomon lined up at QB and threw a TD pass to Cam Countryman. That was certainly not the ending Bagnoli envisioned for his Columbia team that remains at the bottom of the Ivies. But the process continues on for the man who thought he was done with coaching before getting lured to New York City for a hefty rebuilding job. And with that, the former Penn coach said some more hellos to people he hadn’t seen in a long time and then said some quick goodbyes, boarding a bus headed back to his new home.